We believe that music should be fun and memorable, especially for babies! That is why all of our activities are carefully planned, and geared towards encouraging a love of music while helping babies reach their developmental milestones. In every class, we sing songs, learn actions, move to music, and use instruments such as maracas, bells, and drums. 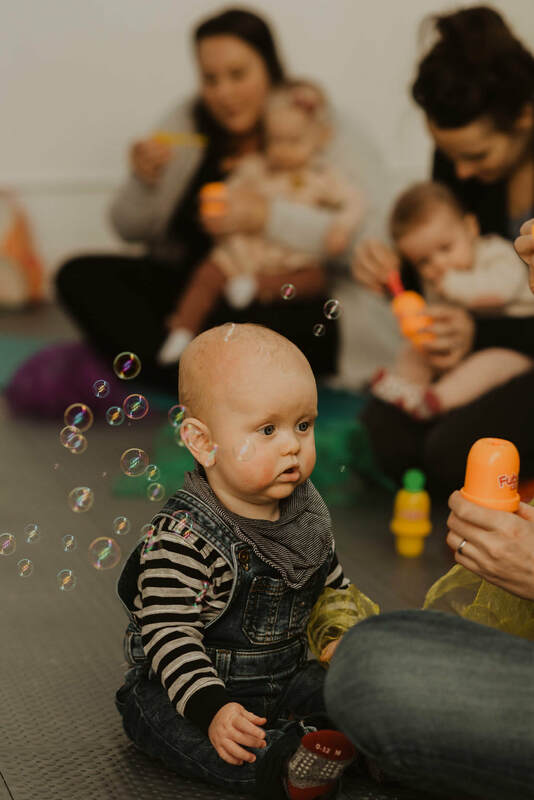 Babies also engage with meaningful props such as bubbles, scarves, puppets and parachutes. 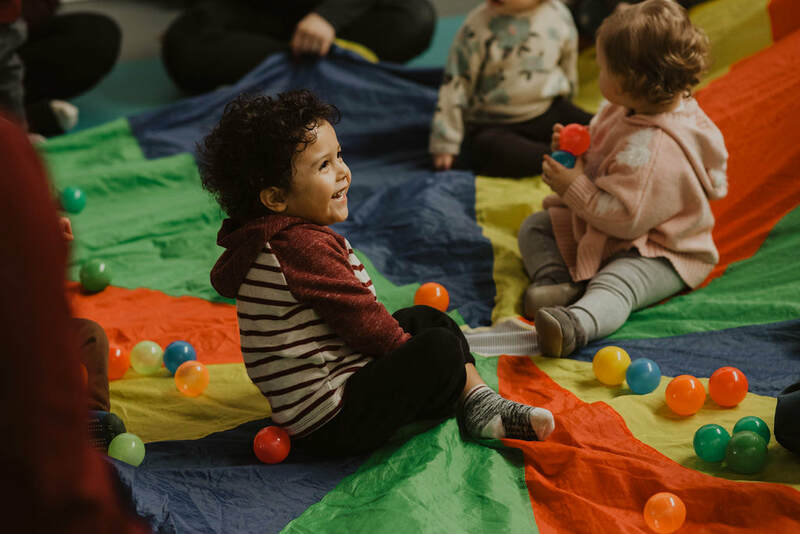 This class provides you with some special one-on-one time with your child, and provides a wealth of stimulation, socialization, and musical fun for your little one! Do-Re-Mi & My Baby was developed by music educator, Jennifer Johnston after the birth of her first son. 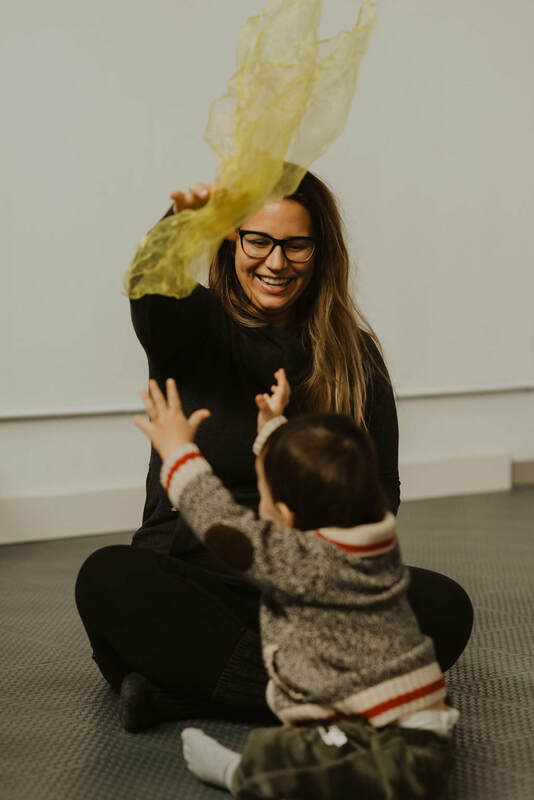 She spent her maternity leave attending numerous music classes for infants, and was amazed by how much her son gained from early exposure to music, and how much she gained from connecting with fellow parents in her community. Her passion grew and developed as she immersed herself in more research about early childhood music education, and before she knew it a program was born. 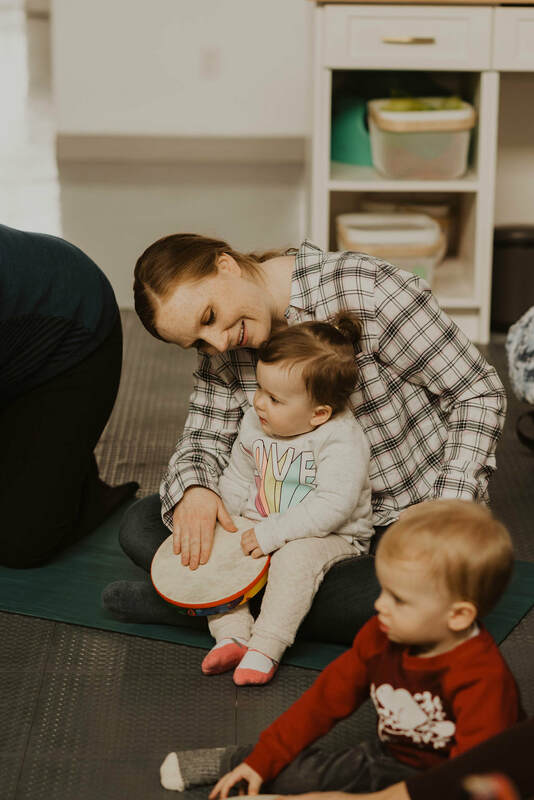 "Do-Re-Mi & My Baby is much more than your typical baby music class. The instructor, Jenny, takes the time to genuinely get to know each and every one of the participants, and will even personalize some of the songs to make it more engaging. It's refreshing to attend a class where you feel so welcomed." ​"I love Do-Re-Mi & My Baby because it's not simply sitting around and singing. Jenny leads several musical activities that help with language and comprehension. She also gets the moms and dads involved, which I love. In the other classes I've been to you leave and you don't actually know anyone else's name, but here we all feel part of one community."